Steve Lotter promoted, and automatic gearboxes drive 2013 sales figures. 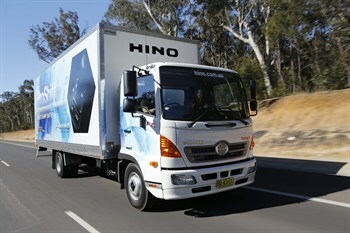 Japanese truck giant Hino has appointed a new Australian boss. 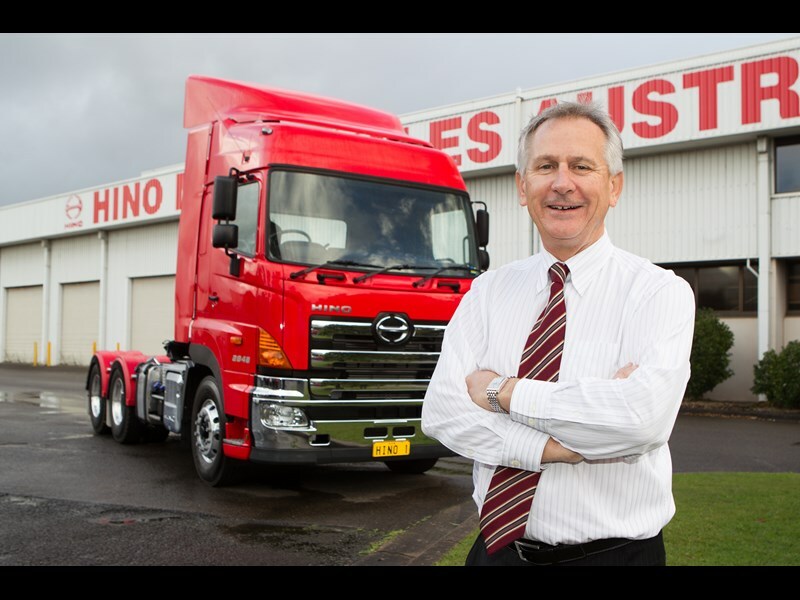 He is Steve Lotter, who will become Chairman and CEO of Hino Motor Sales Australia. Lotter is currently Hino’s President and Chief Operating Officer in Australia. He has worked in executive roles at Hino and Toyota Australia for more than 35 years. On February 1 he will replace current Hino Australia chief Kenichi Sekine, who is returning to head office in Japan after more than four years in Australia. "Steve and I have worked closely together, and I am very glad that his efforts have been recognised by this appointment," Sekine says. Current General Manager of Overseas Planning at Hino Motors in Japan, Shunichi Takahashi, will take up Lotter’s current role. Takahashi also has more than 30 years' experience with Hino and Toyota, having previously held such senior positions as Director of Toyota Brazil and Toyota Argentina. Meanwhile Hino credits the increasing popularity of automatic and ProShift automated manual transmissions (AMTs) with increasing its share of the Australian truck market. The company says the recently released official T-mark sales figures show it increased its share to almost 16 per cent, still in second place behind Isuzu. The 300 Series 616 and 617 models – which Hino says are the only light duty trucks in Australia to offer a "true" automatic transmission - enjoyed a 7 per cent increase in sales compared with 2012. The company says this was thanks in part to a fourth-quarter promotion offering manual customers a free automatic transmission upgrade. Hino's share of the Medium Duty truck market grew to almost 30 per cent in 2013. The introduction of the ProShift 6 AMT on 500 Series FC and FD models increased their sales by 12 per cent over 2012. "The excitement generated by the introduction of the ProShift 500 Series models late in 2012 was clearly reflected in the sales figures last year," says James Morris, Hino Australia's Divisional Manager of Sales. "This is a continuation of a long-term trend towards automated and automatic transmissions in the trucking industry because of the greater comfort and ease of operation that these transmissions provide drivers on traffic-congested routes." At the top end, Hino's Heavy Duty 700 Series increased sales by more than 30 percent to 127 units. Hino says its SH variant of the 700 Series is the only Japanese 4x2 prime mover with four-wheel disc brakes, vehicle stability control and 450 horsepower (330kW) matched with the ProShift 16 AMT. In line with the wider market, total Hino sales in 2013 were down slightly to 4,156 from 4,216 in 2012.